Built around 1719 and transformed into a tavern by Samuel Fraunces in 1762, Fraunces Tavern was a popular meeting place in New York City during the Revolutionary War. On December 4, 1783, nine days after the British evacuation, George Washington delivered his emotional farewell to his officers in the second floor Long Room. Today, the Museum’s mission is to preserve and interpret the history of the American Revolutionary era through public education. This mission is fulfilled through the interpretation and preservation of the Museum's collections, landmarked buildings, and varied public programs that serve the community. 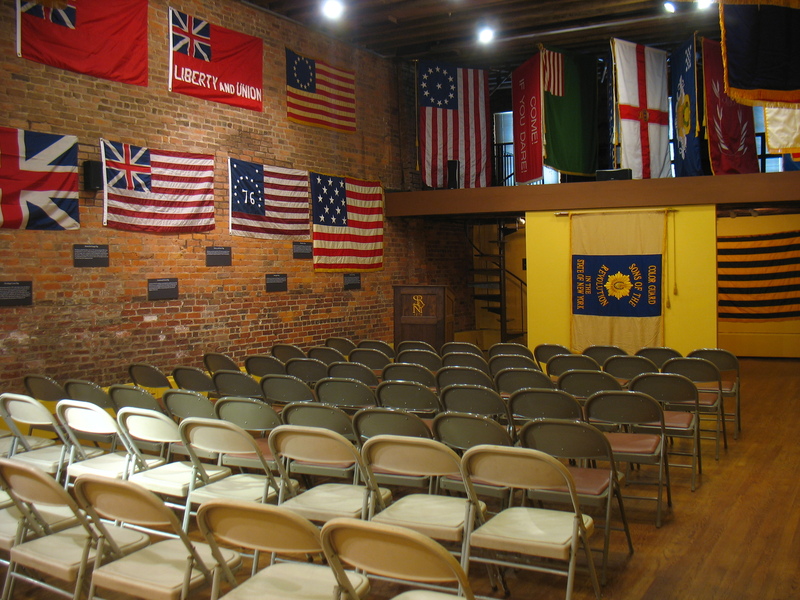 Description Whether you are looking for a venue for a ceremony, cocktail party, or business retreat, Fraunces Tavern Museum has the space that fits your needs. Host your event surrounded by the Museum's nine galleries; rich in historic ambiance and early New York City and American history. The Museum offers daytime and evening availability and spaces can accommodate up to 100 guests for cocktails and 60 for a lecture style event.